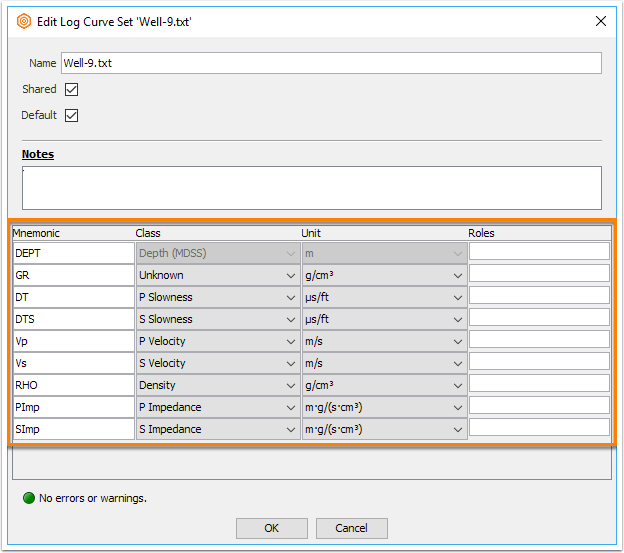 Well Templates automatically select the log curve to display by searching for matching classes. Use mnemonics to choose which data is used when log curves have the same class. 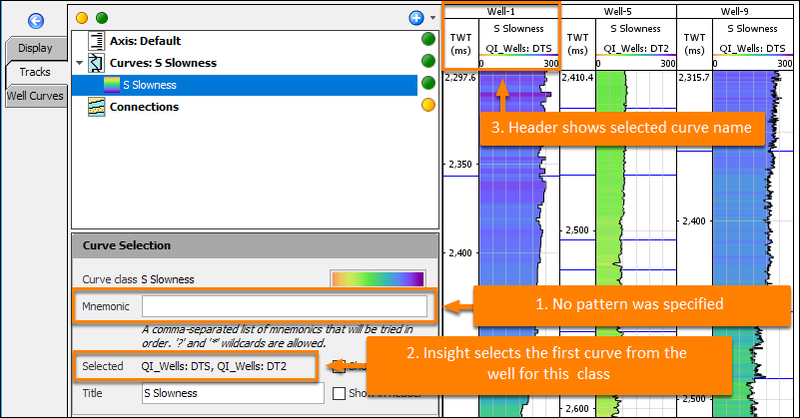 When a template is loaded and a well is displayed, the curve searches the well for logs that match its class. To view the curves of a well, go to Wells tab and select a well. 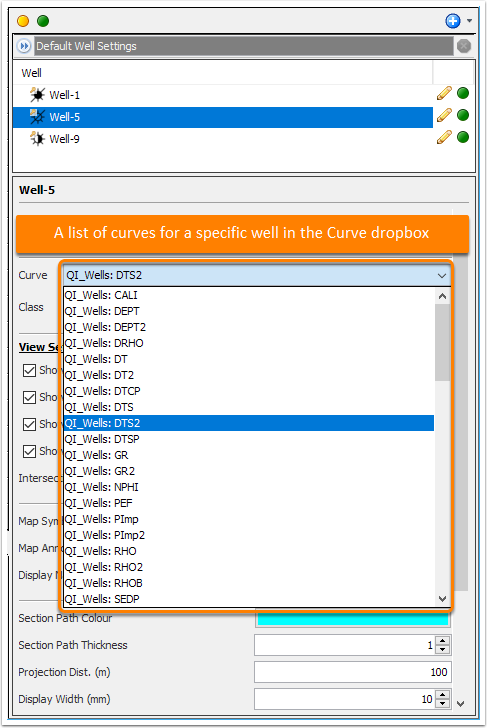 A list of curves belonging to the selected well is shown under the Curve dropbox along with the mnemonics. 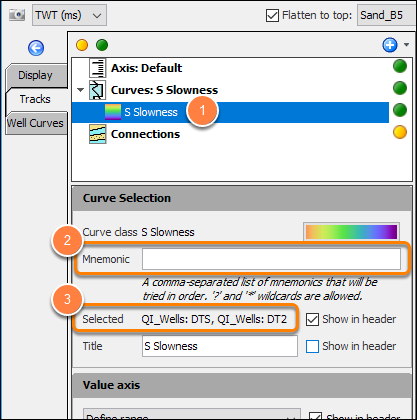 The Well curve mnemonics is also viewable by editing the Well curve. Read about Assigning Classes to Well Curve. 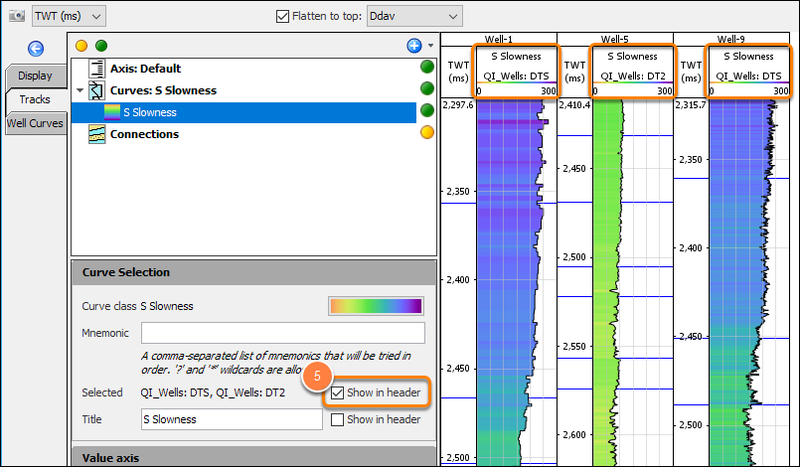 In the Tracks tab, select the desired curve. Under the Curve Selection section, key in the mnemonics phrase. The default value is blank. The curve will use the first available log data in that class. 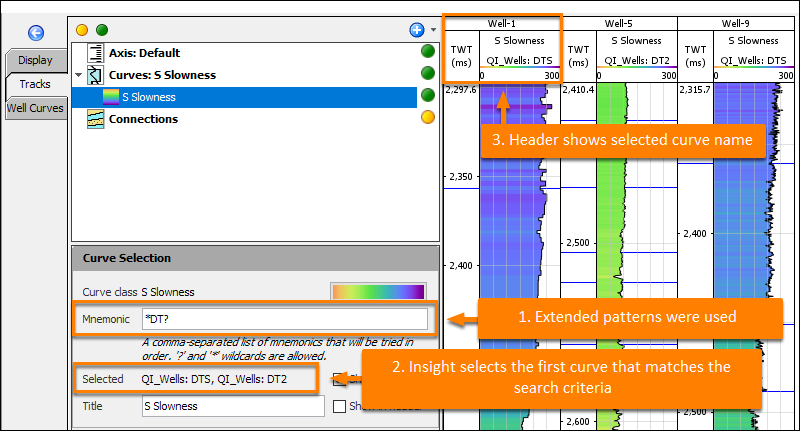 The Selected field shows the first curve of each well that was grabbed by the search. * wildcard matches any text (including nothing).
? wildcard matches any single character in that position, but cannot be empty. 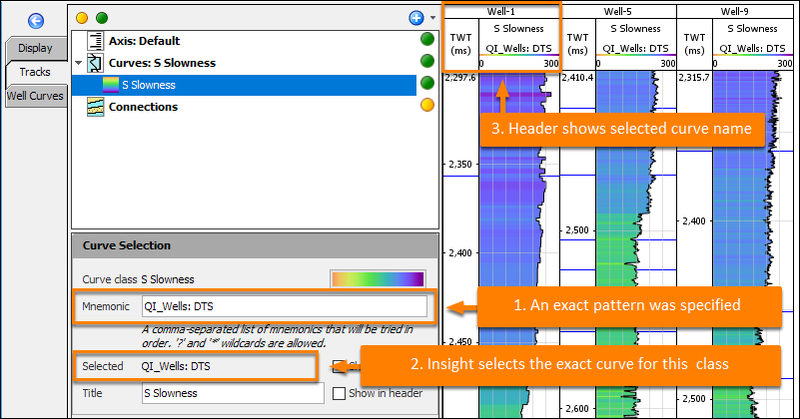 If Show in Header is checked, the well header in the track template will display the selected curve name. Matching results are "QI_Wells: DTS" and "QI_Wells: DT2" but not "QI_Wells: DTS2". Note: Only one curve is ever displayed, even if more than one curve is found. With extended patterns * and ?